More than just eye candy. 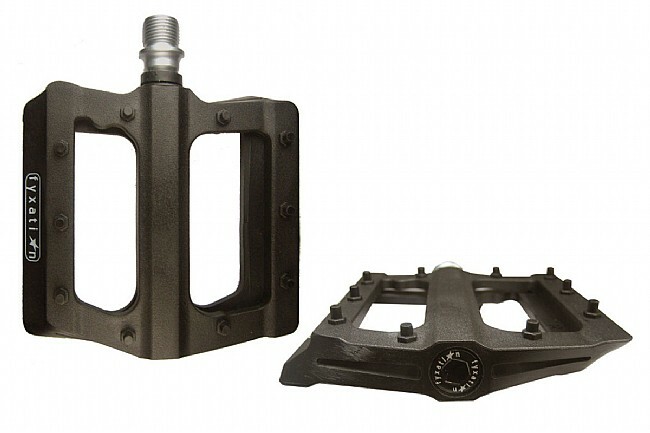 Fyxation's Mesa Platform Pedals are ideal for freeride, BMX and urban riders that want a hard hitting pedal built to withstand abuse. The extra tough chromoly steel spindles and sealed cartridge bearings deliver smooth performance and hassle-free replacement. A high-impact Nylon body and raised surface pegs deliver extra traction in any pair of shoes and the special streamlined shape helps shave weight. 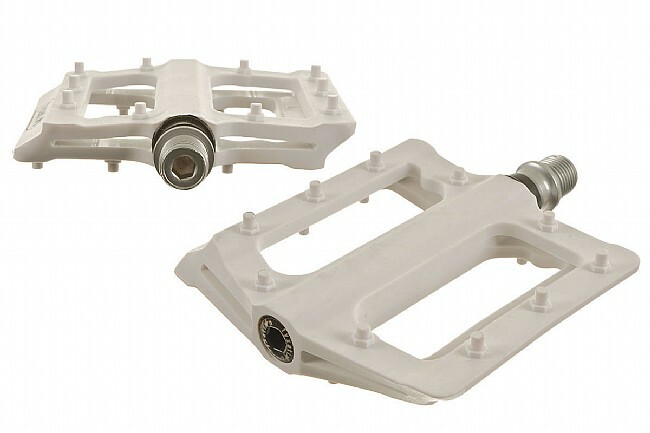 The Mesa pedals also accept most toe clips and straps for those with a more aggressive riding style. Available in Black and White. A perfect match to Fyxation tires. I use this pedal on my bad weather bike. They lasted through one of the worst Chicago winters in 30 years and kept my boots on the pedals. I think they'll last for a few more winters no problem. If you're putting these on a casual ride bike they'll probably out live you if you take care of them.